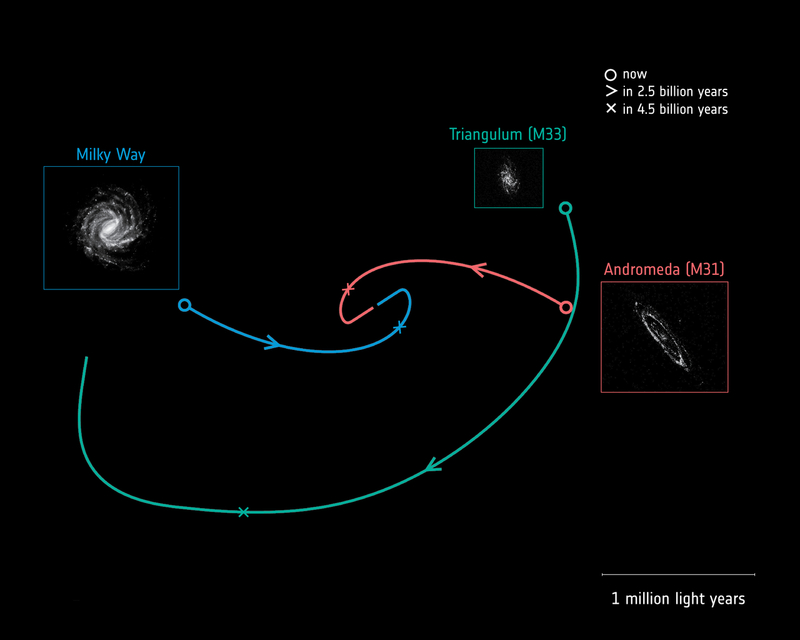 So thanks to Gaia, we can conclude that M33 is on its first infall into Andromeda, and the Milky Way and Andromeda won't collide in 3.9 billion years' time, but in 4.5 billion, and then it will be a glancing blow rather than a head-on collision. P.S. It is a little bit of a pity that we don't get to see M33 fall into Andromeda. That should cause some serious fireworks at a close but safe distance!